Fencing the home provides several benefits to the homeowner. It provides security and privacy to the family. Also, it adds to the overall appeal for the home. Nevertheless, you need to be careful about the fence so as to maintain functionality and aesthetic value. Below are some do it yourself fence repair and replacement tips that will help you in your endeavors. Fences are great habitats for hornets, wasps, and killer best to build their nests. If you come across a killer bee hive in the fence, be very cautious in removing it before beginning to do repairs. Remember that it is not just dangerous for you but also for the family to have killer bees in the yard. It is easy to remove small bee hives with the help of gloves. Nevertheless, in case the bee nests are big, it is advisable to call South Florida Contracting Services professionals to come and remove them and finish the repairs. After ensuring that the fence is okay, check each piece of fence for any damage. Inspect all sides of the post and identify missing, leaning, broken, and crooked pieces. Fence repair and replacement may involve repainting worn pieces or replacing the whole fence panel. When you realize that pickets are missing, you need to replace them immediately if you had kept some of them from the construction of the fence. If you do not find any, you can visit South Florida Contracting Services to buy replacements for your missing pickets. Stains provide extra protection to fences since staining can further penetrate wood than paint. Also, when staining the fence, there is no need of getting worried about the chipping paint. This will make future repairs easy for you. Simple and loose nails can start big damages and pose danger to your loved ones, pets, and children. You need to make sure that the fence does not have loose nails. You can hammer them in place or replace them with other ones. In case the fence has a gate, ensure that hinges are free of rust. You can do this by applying oil regularly to the hinges. If not, the hinges will rust and make it tricky to close and open. Termites are among things and insects that can destroy your fencing. If you allow the fence to get eaten by termites, then the house will be the next item on the menu. Apply them on all sides on the fence and the underneath ground. When you do this, the yard will be free from carpenter ants and termites. DIY fence repair and replacement can be challenging but that should not be the matter. Knowing that times are hard and as a veteran, you need to try doing the repair by changing rotting posts and then replace then with panels that will save your money. 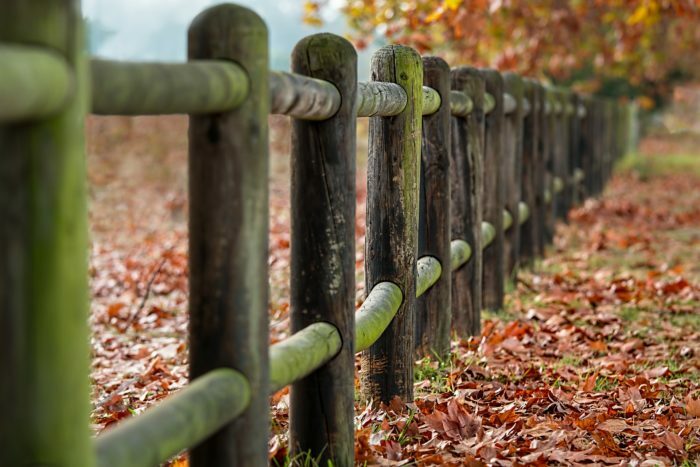 The things you can address are rotting fence posts, cedar fence posts, galvanized metal fences, treated wood posts, changing the wood fence picket, and add or change your fence rail.